Killer Instinct | CEO 2016: Thompsxon Claims Back-to-Back Major Wins! Welcome Killer Instinct Fans! Hope everyone is enjoying General RAAM, our third Guest Character! 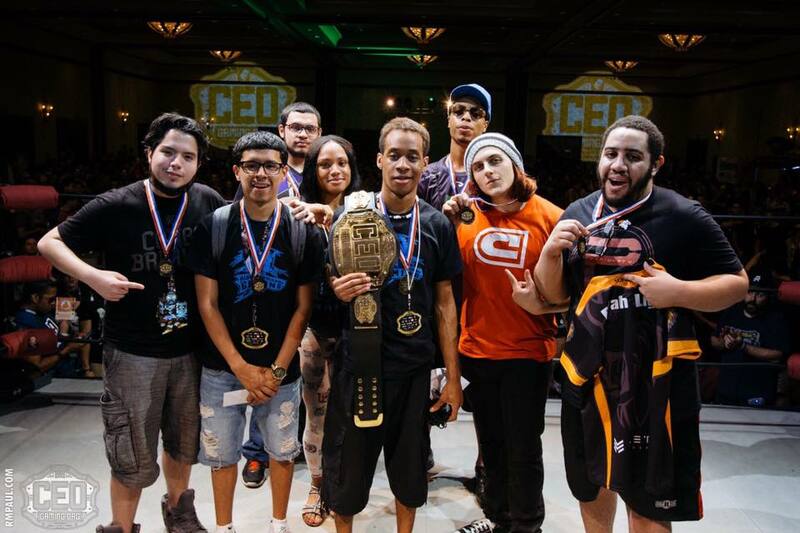 This past weekend at CEO 2016, a major fighting game tournament in Orlando, FL, some of the best players in the Killer Instinct Community competed for a chance to win the coveted CEO Championship Belt! This year saw 115 entrants, a growth of over 25% compared to last year, who battled it out over 4 grueling pools in hopes to make it into the Top 8 on the main stage, which took place in an actual wrestling ring! Additionally, CEO was a KI World Cup Qualifier. That means the winner gets a qualifying spot for the KI World Cup next March in San Antonio, Texas. Learn more about the KI World Cup HERE. CEO’s Top 8 saw mostly familiar faces in the Community, although some may not be familiar with Mister J’s impressive Aganos play. After losing to Sleep in the very first set of Top 8, Thompxson fought his way back to Grand Finals for a rematch. In Grand Finals, Thompxson was able to defeat Sleep 3-2 in the first set, resetting the bracket and finally defeating Sleep 3-1 and becoming the CEO 2016 Killer Instinct Champion! Since Thompxson already qualified for the World Cup (for winning Combo Breaker not even a month ago! ), Nicky qualified and will be competing in March. 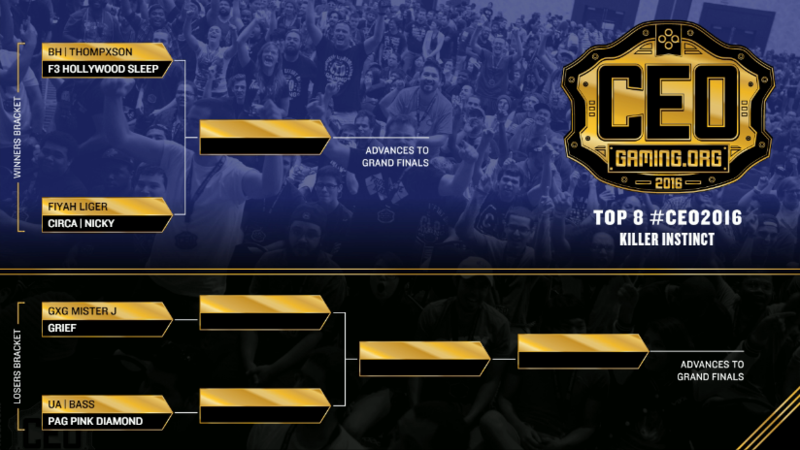 Below is how the entire Top 8 shook out. Congratulations once again to BH|Thompxson for winning CEO 2016! With back to back Major Tournament wins, can he complete the “Triple Crown” of Tournament wins and win EVO 2016? We will have to wait a few short weeks to find out! See you all there!